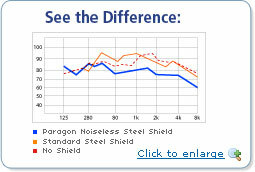 Paragon Manufacturing is a manufacturer of Noiseless Steel, an acoustically constructed product specifically designed to reduce noise and vibrations. 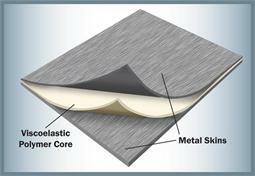 Our Noiseless Steel is a sandwiched steel panel consisting of two sheets of metal with a visco-elastic inner layer that results in a metal/plastic/metal (MPM) panel. Quiet equates to quality in any application and PMI’s acoustically designed panels help reduce noise and vibration by damping structure-borne noise, insulating against air borne sounds, and damping inherent vibrations.